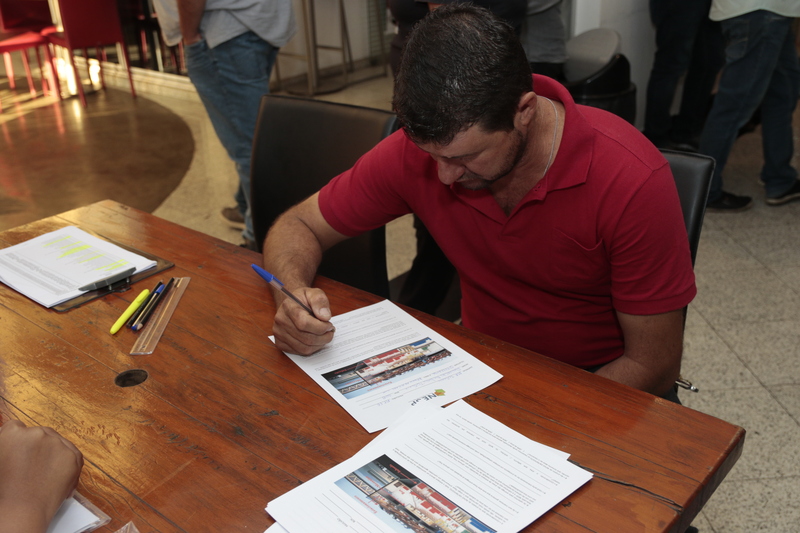 In 2016, after changes in Sao Paulo zoning regulations that changed NESP future address to a ZOE (special ocupation zone), we presented the PIU (Urban Intervention Project) NESP, aproved by the municipal decree number 57.569. 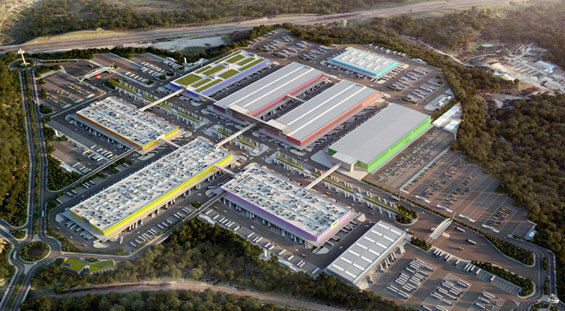 A steering committee was instituted with the purpose to raise data, to encourage, to debate, to hire and to orientate the architects in the development of the new wholesale market. 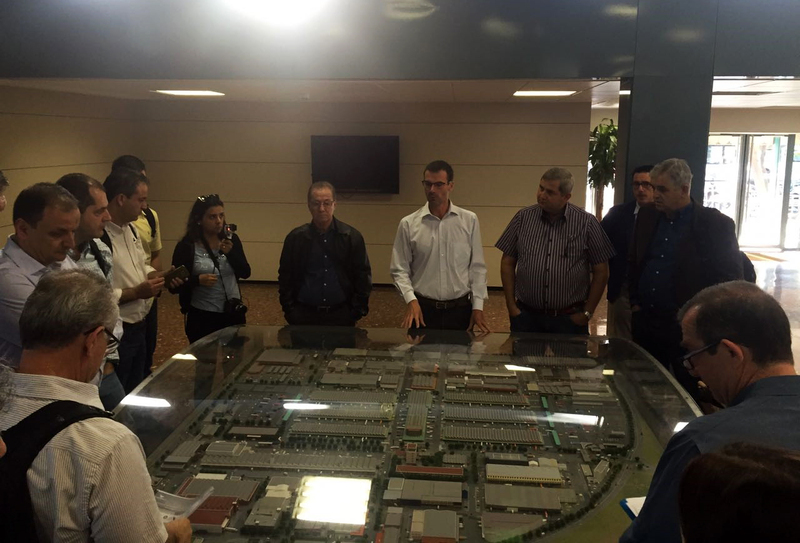 Alongside with producers/traders of CEAGESP, engineers and guest architects, in 2016 the committee went to a number of technical visits in European markets (Mercabarna – Spain; Centro Agroalimentare di Bologna and Centro Agroalimentare di Roma – Italy; Saint-Charles International and Rungis Marché International – France), markets that are considered inovation models and that could serve as references to the new Sao Paulo market project. After criterious evaluation of what was seen in the international markets, it was the moment to debate about the main benefits identified on the European markets which were considered as references and that could be applied on NESP project. 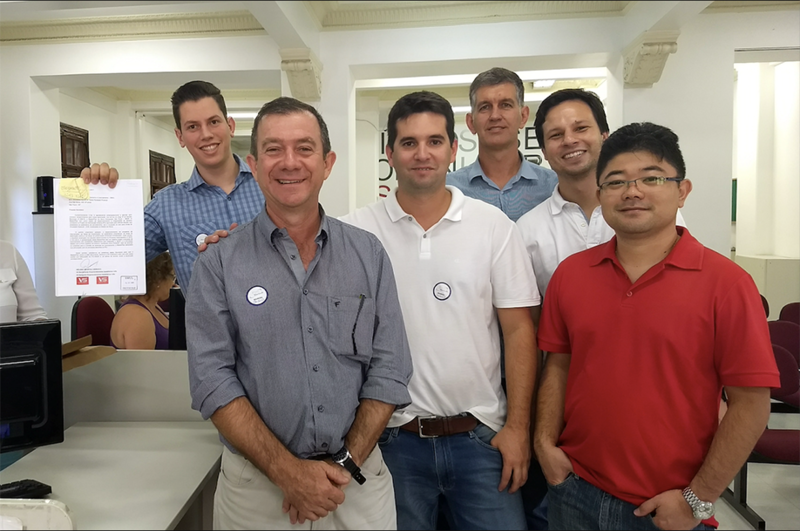 Both partners and technicians were invited to contribute during the project development, giving their ideas and opinions through online and offline polls. 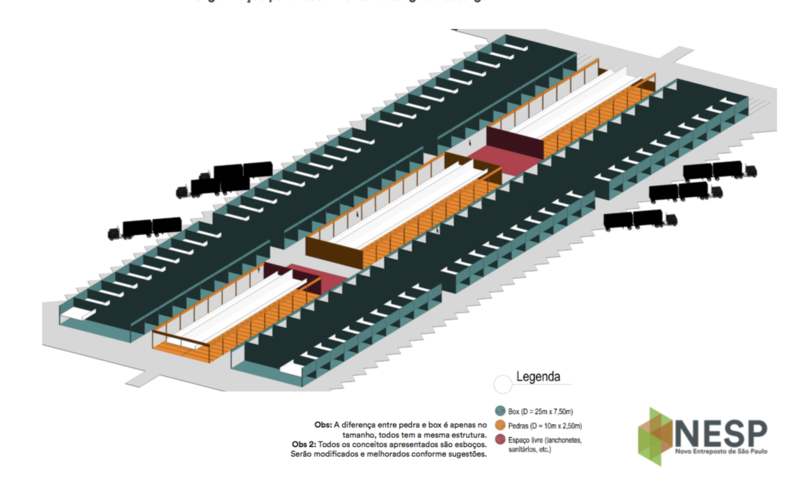 In this step, partners had seen the initial sketches of what would be the distributions of the areas in the warehouse, in addition to their respective sizes. Then, the project had taken into account the most relevant points brought in by the partners themselves from the latest stage. 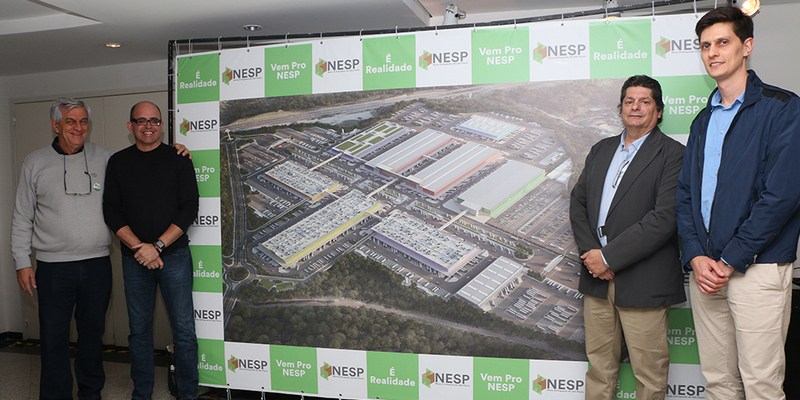 After many meetings, NESP Concept Project was presented, designed to improve logistics flow of both vehicles and people: in NESP, cars, trucks, people and forklifts will not cross paths. This will be achieved thanks to different entrances: for light vehicles, an exclusive entrance will direct cars and motorcycles to the parking lots above the pavillions. All intern roads, three flow flanes, will be exclusive for truck circulation. 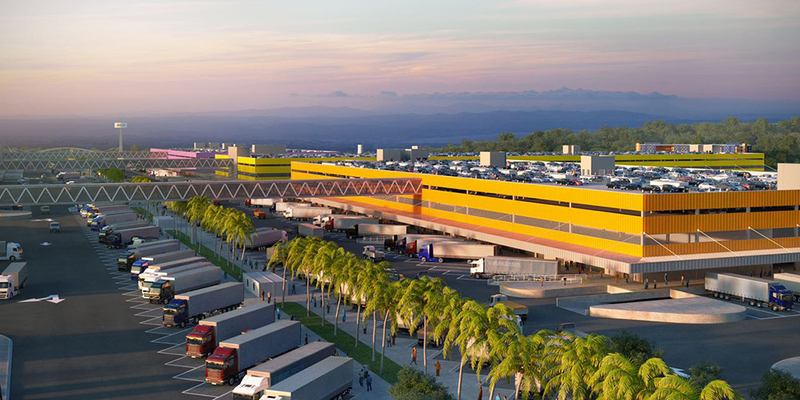 Trucks parking spaces, projected to be at 45 degrees, will ease the lanes flow, thus allowing trucks to make fewer maneuvers in front of the pavillions. 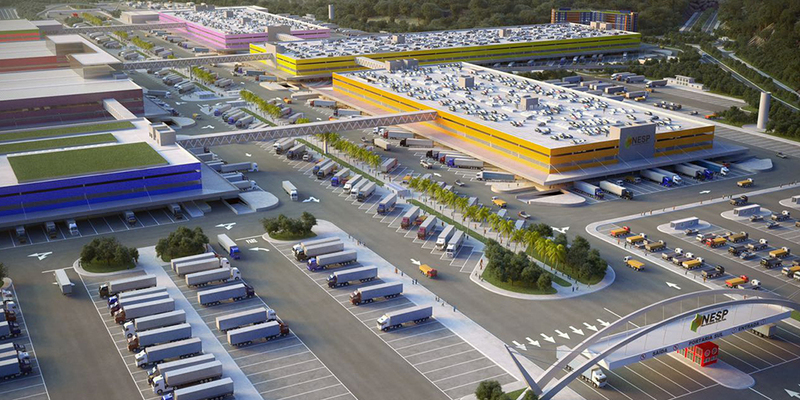 These pavillions will be connected by upper walkways (for pedestrians flow) and underground passages (for product movimentation through forklifts). 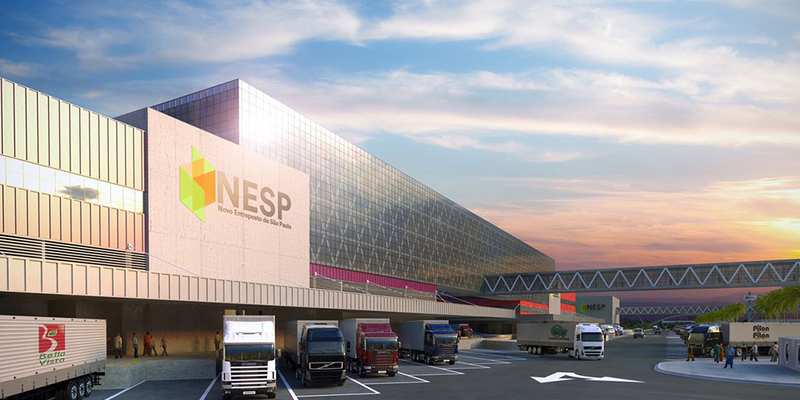 The pavilions were designed considering two fundamental matters: space optimization for people who work or frequently visit NESP and to ensure product quality in both trasnportation and storage. Underground floor: most of the commercialized products need to be stored at controlled temperatures, in cold chambers. Underground sotrage is ideal for this equipments because of the low sun exposure and, consequently, less heat interchange, which allows a better and significative efficiency in the consumption of electric energy. Ground floor: all commercialization will take place at the internal corridors of the pavilion. On the other hand, product circulation will be made through external corridors, which will also be surrounded by docks in platforms, and each one of them will have a leveling gate. This will make the loading and unloading of trucks a lot easier, including products in pallets. Upper floor: the place for common areas. This floor will have the parking lot for light vehicles, commercial stores, food court, etc. 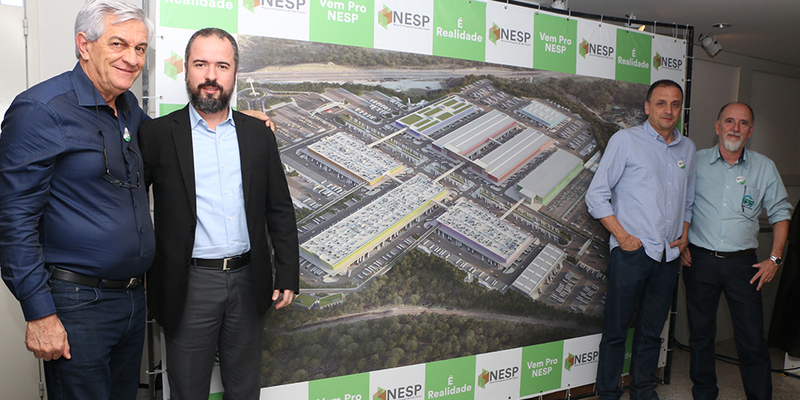 On august fo 2017, Monacelli Vieira Arquitetura consortium presented NESP architectural design to the market partners and invited people, as well as all the evaluation of the work done until that moment. 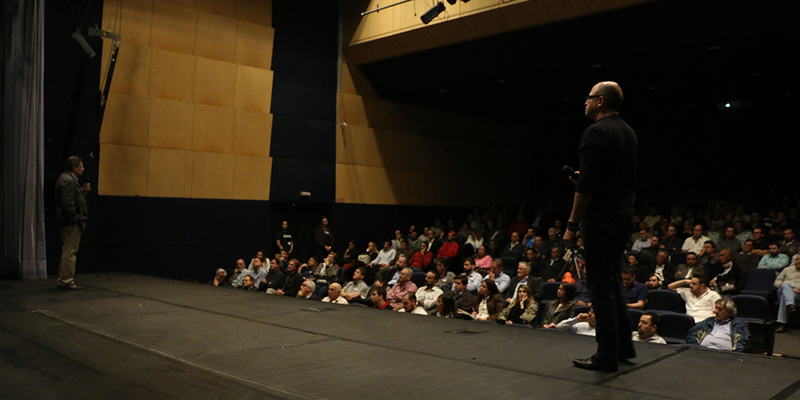 That day, once more, the audience could contribute with suggestions. 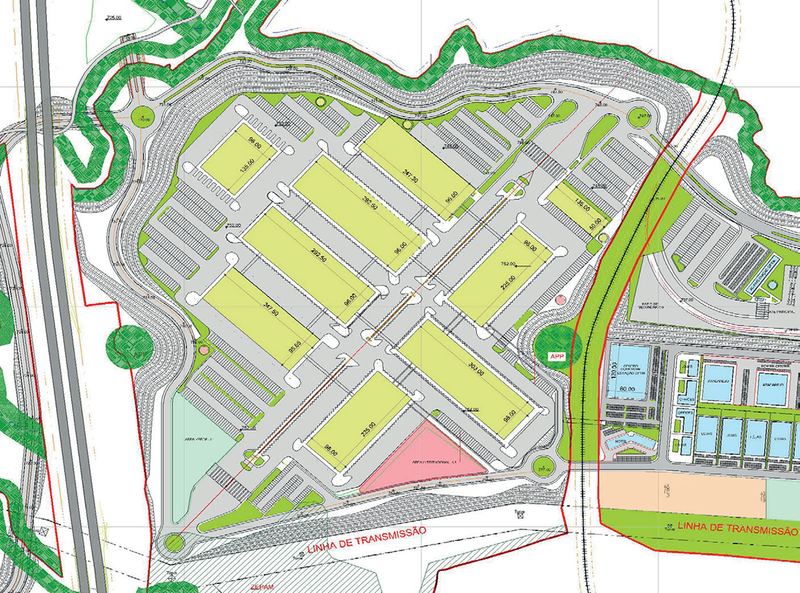 NESP Masterplan was registered and approved by Sao Paulo City Planning Secretary (SP Urbanismo), in accordance to PIU, as well as the access researchs along with ARTESP, developed by the companies Canhedo BPU and Perplan Enga. All of this was achieved after many meetings with the architects, designers and public agencies involved. 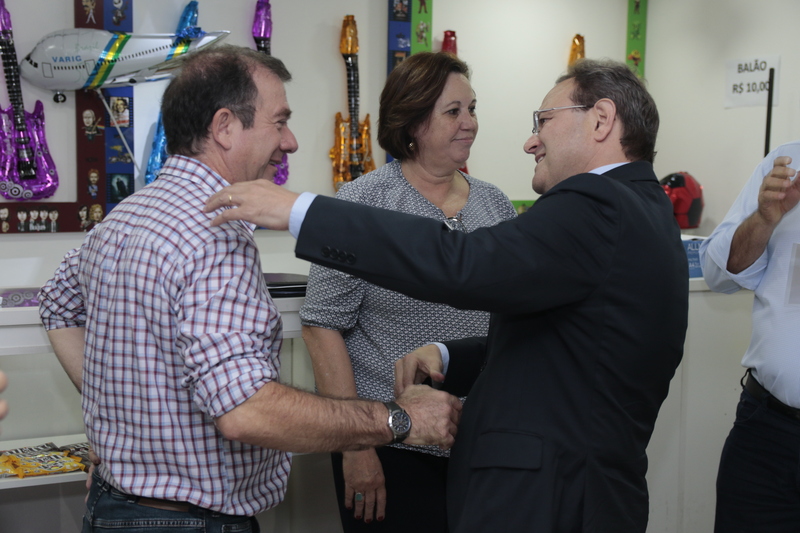 Project assumptions about its development and environment licensing were also presented to CETESB. Other orientations and researches for more licenses are awaited. This our next step, where the architects and the steering committee will conclude the projetc.